As the market has grown, so has the quality and variety of produce. Today, the unwritten rule: presentation is everything. The stars are out and summer’s last cicadas chirp in the darkness. A yellow box truck rumbles onto the grass. It slows and settles into its spot before three people jump out and pull open its back. 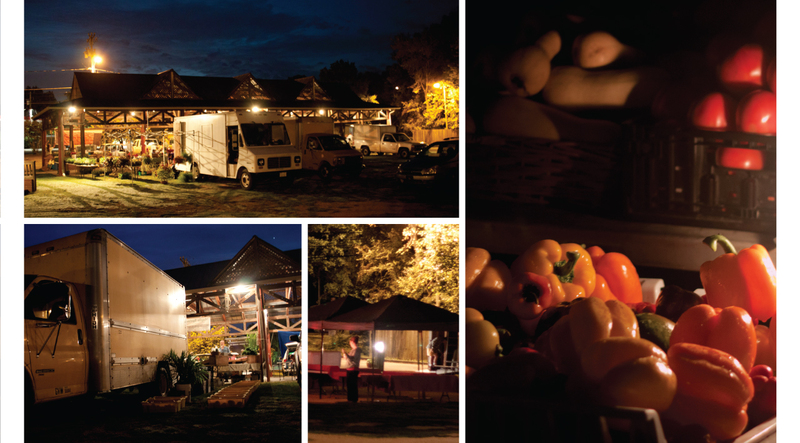 It is 5 a.m. and the complex choreography of the Carrboro Farmer’s Market set-up has started. 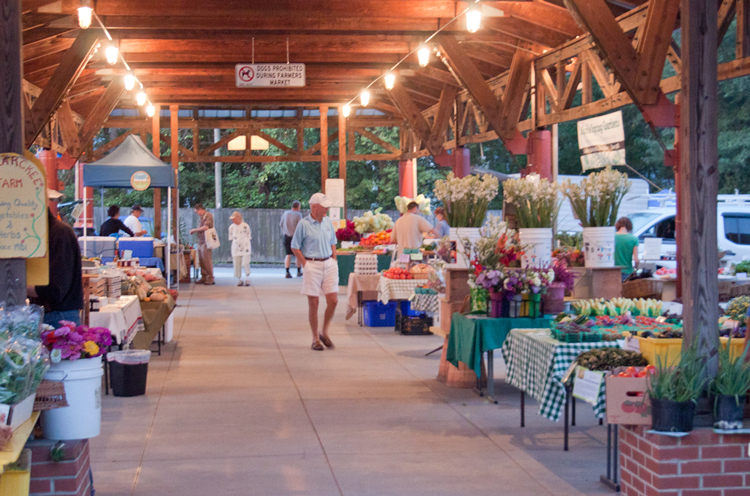 Since 1978, the Carrboro market has grown from its first fifteen-odd vendors and moved a handful of times. 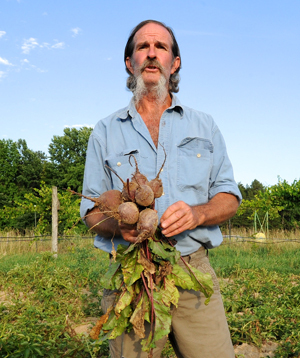 As farmer and longtime vendor Alex Hitt of Peregrine Farms says, it always was “farmer run and farmer controlled.” Market rules stipulate that the farmers themselves must be there to sell and all growers must be within fifty miles. Over the years it’s become “an important link in the chain of things that make the food around [Carrboro] so remarkable,” according to longtime shopper and Crook’s Corner chef Bill Smith. As the market has grown, so has the quality and variety of produce. Today, the unwritten rule: presentation is everything. In the early years, Hitt explains it was mainly, “ ‘maters, ‘taters, and beans.” Now over fifty farmers sell everything from fairy eggplants to shitake mushrooms. Ken Dawson, of Maple Spring Gardens, has sold at the market consistently for over thirty years. His stand is one of the prettiest. Each week “it’s like building a stage set for a play.” Turns out architectural stacks of tomatoes and photo ready arrangements of herbs are signifiers of a strong and evolving food community. 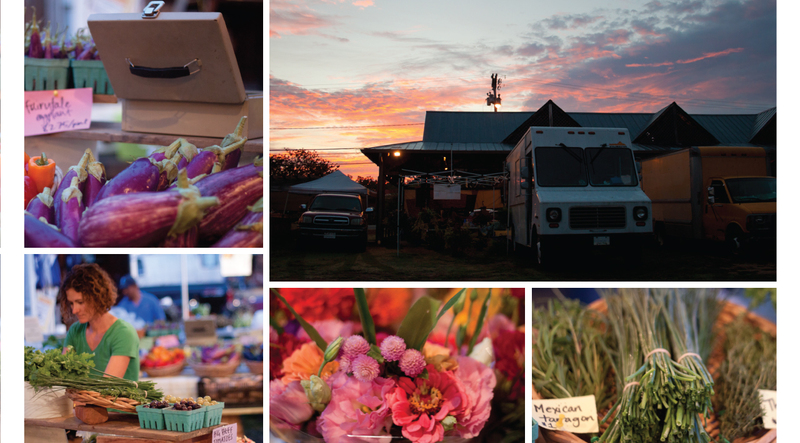 By 6:00 a.m., first light glows in the east and the last vendors arrive. Neighbors pass ladders down the line, a woman calls out for coffee orders, and scuppernongs tumble into pints. Half an hour before start time, the first customers walk the aisles—scoping out the season’s first kale and broccoli, scheming this week’s purchases. 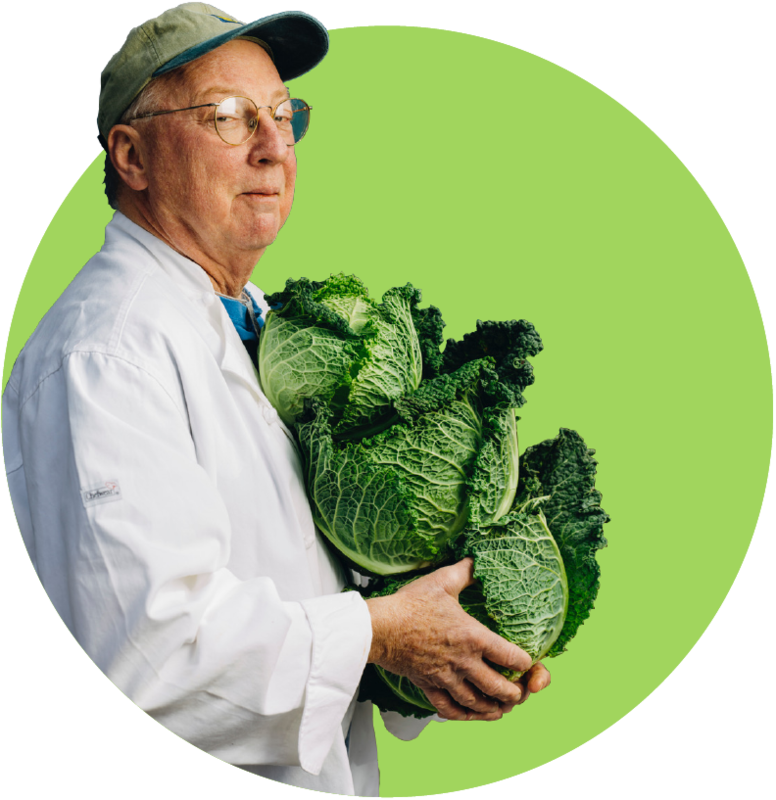 “The level of competition [at the market] has made us all better at what we do,” explains Ken. “Somebody is always raising the bar to the next level.” This drive to improve is visible in carefully tended displays, in the willingness to try growing new things, and fostered by the community around the market. 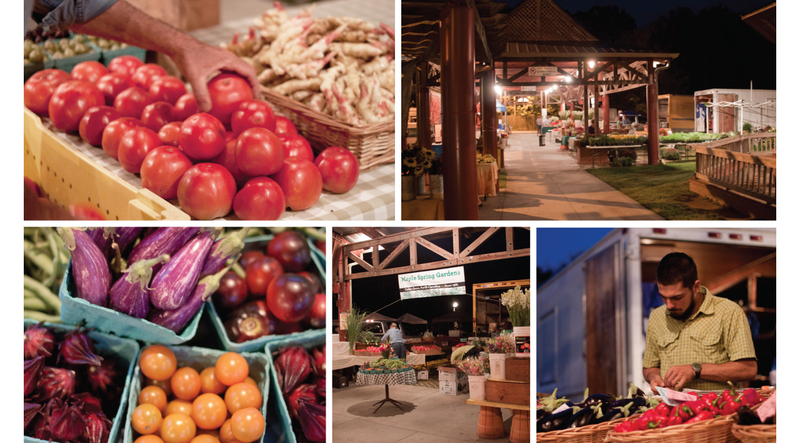 A few of the narrators from the Carrboro Farmers’ Market oral history project reflect on what has changed about the market and what makes it so special. This feature was produced with oral history interviews, audio, and photographs from the Southern Foodways Alliance. 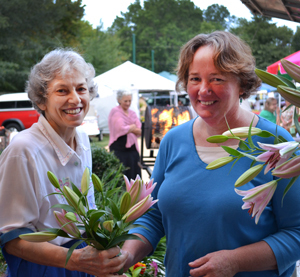 The photos and video of market set up were taken by Katy Clune, with special thanks to Ken Dawson and his team.